We thank you for taking your valuable time and efforts for conducting this“Stress Relief Session”in our Hyderabad Office .We have got very positive response for this session from all the employees and many approached us through e-mails and thanked us conducting such wonderful session. 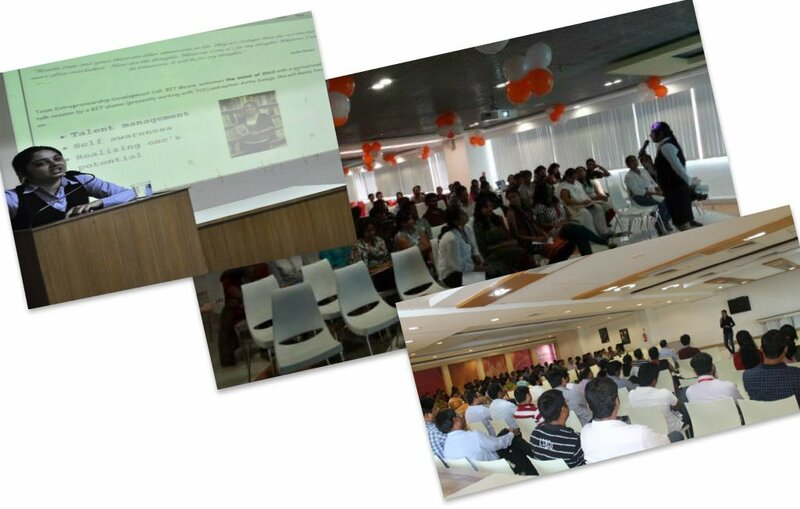 Astha’s session at Novotel Hyderabad Convention Centre was enriching for the staff members. It really motivated them to do “One new thing each day that you haven’t done before”. There were many take-aways in Astha’s session like this and all the employees appreciated her for the way she motivated them. We wish her all the very best for her future endeavours. -Novotel Hyderabad Convention Centre and Hyderabad International Convention Centre. One of the most thought-provoking and entertaining workshops we have ever organized. 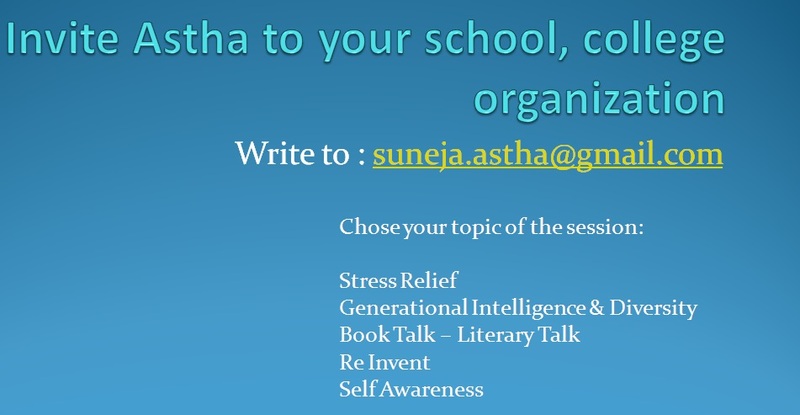 The energy displayed by Astha throughout the session was absolutely amazing!! 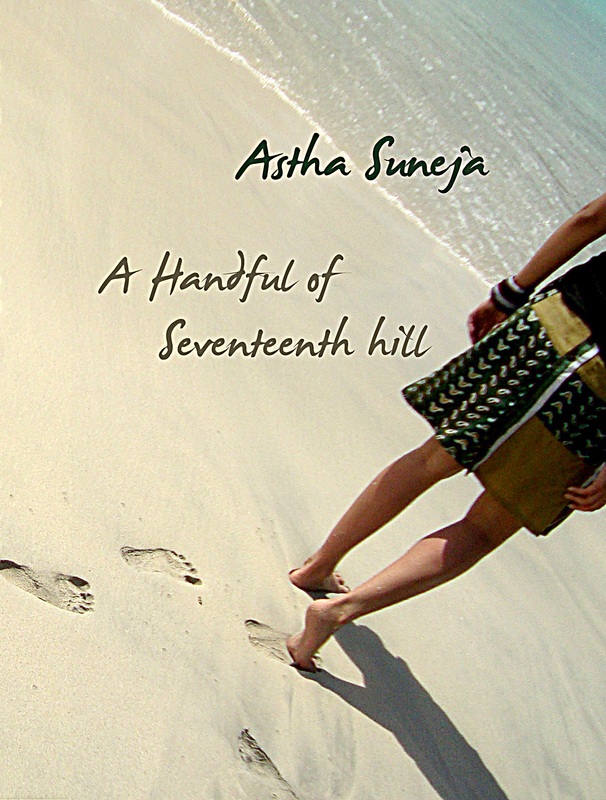 Astha is a motivational speaker and author. She visits various organizations and conducts sessions on stress relief and various other aspects of work life balance.Astha Suneja (6th August 1987) was born in Ranchi. She is an engineer from BIT, Mesra. She is presently working for TCS as a Marketing Executive. She is a regular blogger and a content developer. She has written verses and messages for the greeting cards as well. She is a fashion designer and the products designed by her can be seen online (Fashion Quotient – Facebook). She has taken up many initiatives and given them practical shape with her abilities and strong determination.